If you have too many debts to pay off in North Dakota and your financial resources are limited, you can take advantage of a North Dakota debt consolidation or settlement program. How does a North Dakota consolidation program help you? When you enroll in a North Dakota debt consolidation program, the company starts negotiating with your creditors to lower interest rates and fees. Instead of multiple monthly payments, you pay off your bills with a single payment each month. It helps you manage your finances better so you can focus on one payment every month and plan your budget accordingly. You also save a substantial amount of money as the interest rates are reduced and the late fees, over-the-limit charges, etc. are lowered/wiped off. Check out more benefits of a consolidation program. What things should you know before you consolidate bills? When you enroll in a consolidation program, your financial responsibility does not end there. You'll have to make your monthly payments on time, stick to a frugal budget, and monitor your expenses to make the program work for you. When you go for consolidation, it's important that you choose the best consolidation service. All consolidation programs work the same way, but the quality of service varies from one company to another. Consolidation programs do not work in every situation. It's important to analyze your financial situation thoroughly to find out whether consolidation is suitable for you. Check out more on the things you should know about consolidation services. What are the alternatives to a North Dakota consolidation program? If a consolidation program does not suit your situation, you can go for a consolidation loan. Using the loan funds, you pay off your existing bills quickly. Once you pay off your bills, you can repay the consolidation loan through a single payment each month, without having to worry about making multiple payments. There are various credit counseling agencies in North Dakota. They can help you make a budget so that you can afford the monthly payments and repay your bills quickly. If they think a simple budget will not be very effective in your situation, they can suggest that you enroll in a debt management plan. Depending on your financial situation, debt settlement can be a good alternative to consolidation. Settlement helps you pay off bills faster as it reduces the outstanding balance on your bills. How does a North Dakota debt settlement program work? In a North Dakota settlement program, you make a payment to the settlement company each month and they accumulate it in a trust account. When there's sufficient money in the account, they settle the debt with your creditors for less than the original balance. Check out the various pros and cons of a settlement program. Both North Dakota debt settlement and consolidation programs are effective options to pay off bills. But you need to analyze your situation properly to know which of them will suit your needs. Thus, if you're not certain which of the options is right for you, feel free to go for a no-obligation free counseling and let a consultant help you find the best available option. FAQ on North Dakota debt consolidation and settlement? I owe a total of $12,000 on 6 payday loans in ND. I cannot pay them off. What do I do about these loans? Is payday lending illegal in ND? Ans: Payday loan lending is legal in the state of North Dakota. I'm a 23 year old college student. I've ended up with credit card bill of almost $25k. I want to pay it off, but I can't, as I barely pay rent or buy food. The creditor keeps calling me and my parents. What do I do to stop them? I'm in ND and the SOL has not expired. Ans: If the Statute of Limitations has not expired, the creditor may sue you to collect the debt. If a collection agency is collecting the debt on behalf of your original creditor, you can send them a Cease and Desist letter, asking them to not contact you or your parents as you've chosen to deal with the original creditor. I live in ND. I received summons for an account, and I believe the SOL has expired. However, the date of last payment given on the credit report is wrong and it shows the account is still within the SOL. I don't have any proof of my last payment. What should I do? Ans: You must respond to the complaint and appear in court on the due date. If you fail to do so, the collector will get a default judgment against you. Present your case to the judge and ask for validation of the debt. 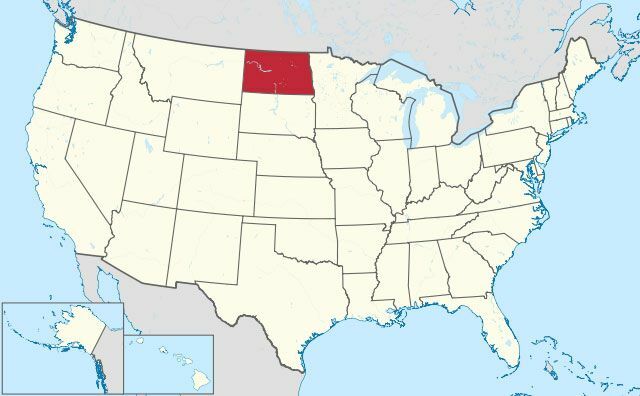 The SOL in ND is 6 years. The complaint should contain the date when the last payment was made. In your answer to the complaint, you may ask for more information, and the collection agency will be obligated to verify the correct date to you and to the court. If they cannot show proof to the court, the case will be dismissed. Get the details.